baran town is carved out of Kota city is situated further into the Hadoti region of Rajasthan. The region is less crowed and attracts tourists who like to wander through isolated areas and in the interiors one can chance upon a ruined temple here and an abandoned fortress there. There are wooded hills and valleys that provide shelter to a large variety of wildlife of Rajasthan. One can visit Sitabari a beautiful picnic spot dotted with old temples of Sita and Laxman beside seven water tanks. Sitabari is also venue for a tribal fair held in the months of May/June in baran city of Rajasthan . Before Indian independence in 1947, most of present-day baran District was part of the princely state of Kota, although Shahabad tehsil was a discontinuous portion of Jhalawar princely state, and Chhabra tehsil was a discontinuous portion of Tonk princely state. After Indian independence, The rulers of the princely states acceded to the Government of India, and the present-day baran District was made part of Kota District. 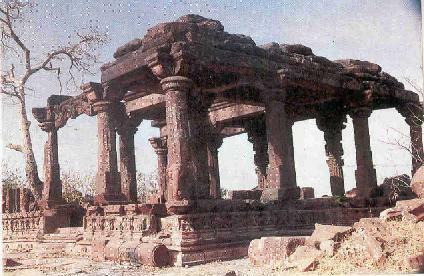 baran District was carved out of Kota District on April 10, 1991. baran in siuated at 70km from kota. At this time baras have many type of new technologies such as atm , internet , wireless communications etc.